Ick! We realize that being dead makes it a bit harder to stay on top of hygiene, but when mildew starts growing in your hair, it's probably time for a bath! Maybe there are some things about being a ghoulish fella that we just don't know about; like how spending all day sleeping in a grave makes their hair all slimy and hard to keep clean. Still... would it hurt to run a comb through it once in a while? 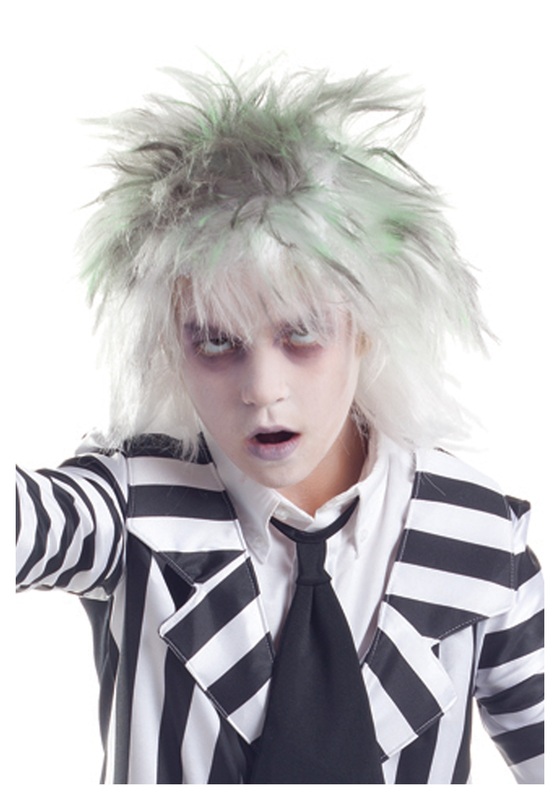 Although, if your little ghoul is trying to achieve that gritty, grimy, undead hairstyle for their costume, you'll be happy to know they can just put on this Graveyard Ghost Wig! This ghostly white and green wig gives your kid the properly frightful look for their mischievous specter costume, without having to get ghastly slime on their head. And your kid can still take baths in between times wearing it, which we're sure they'll be thrilled about!